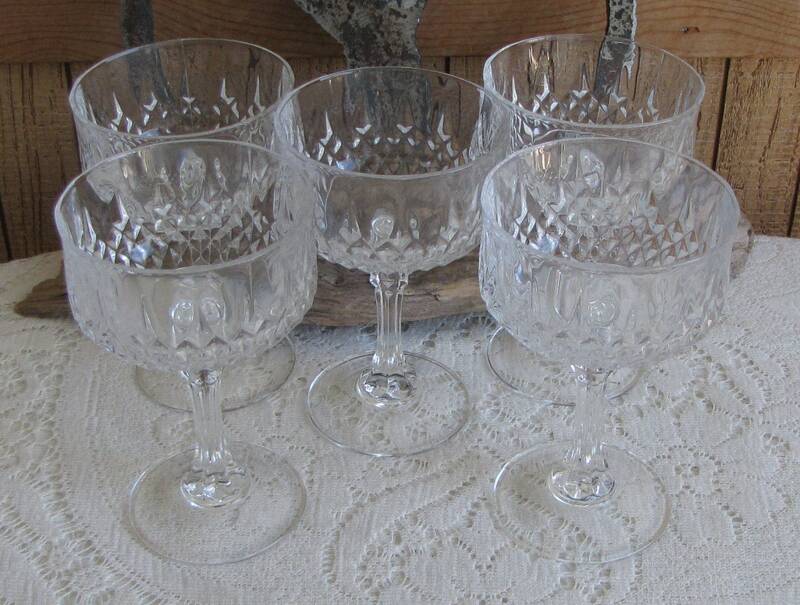 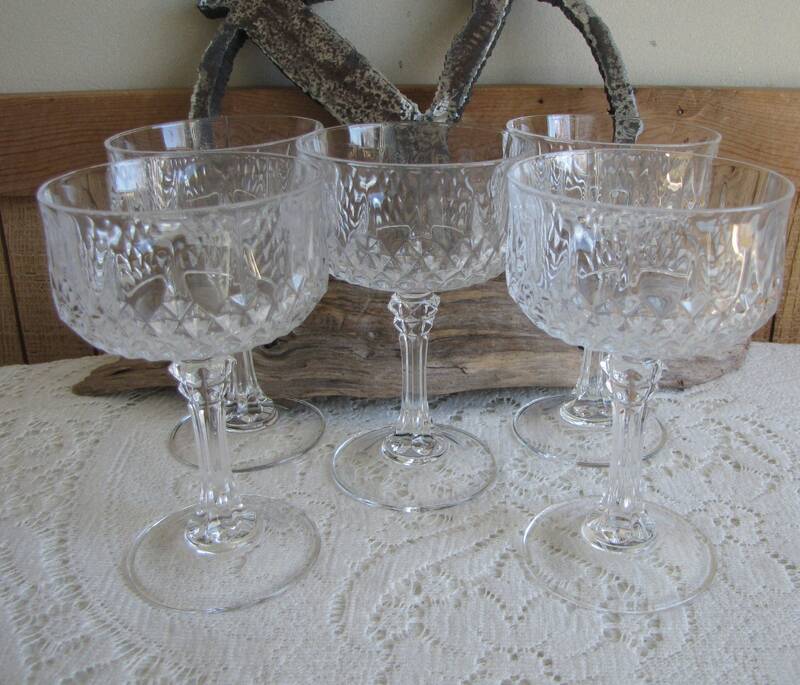 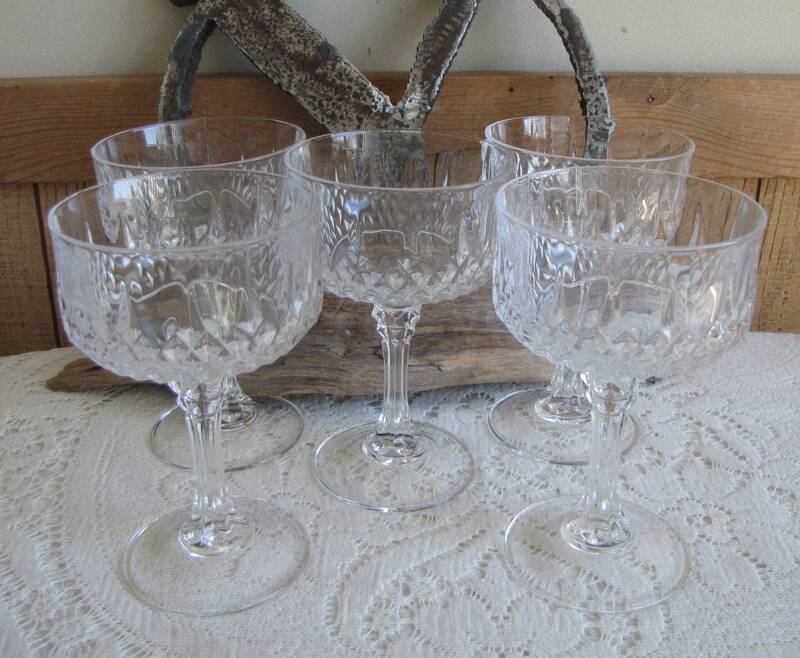 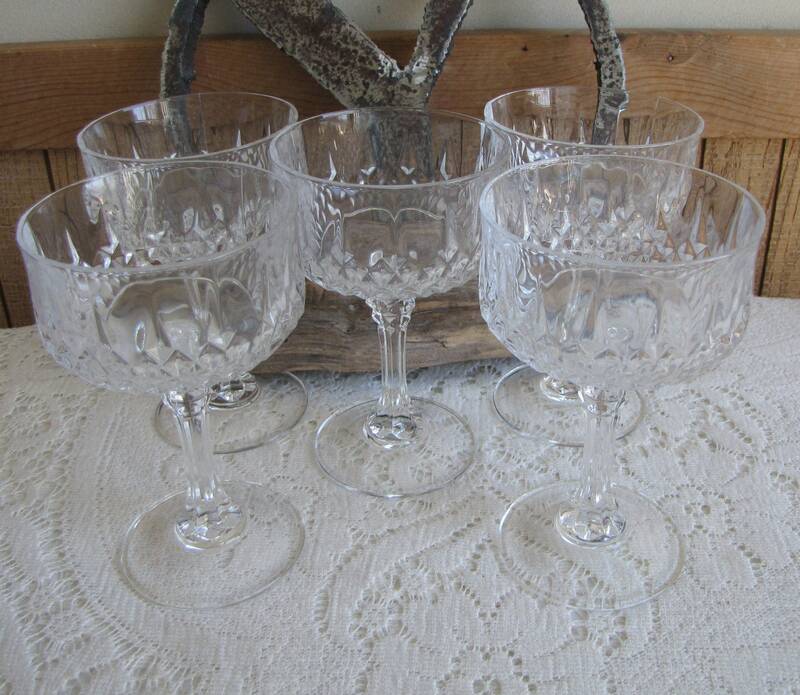 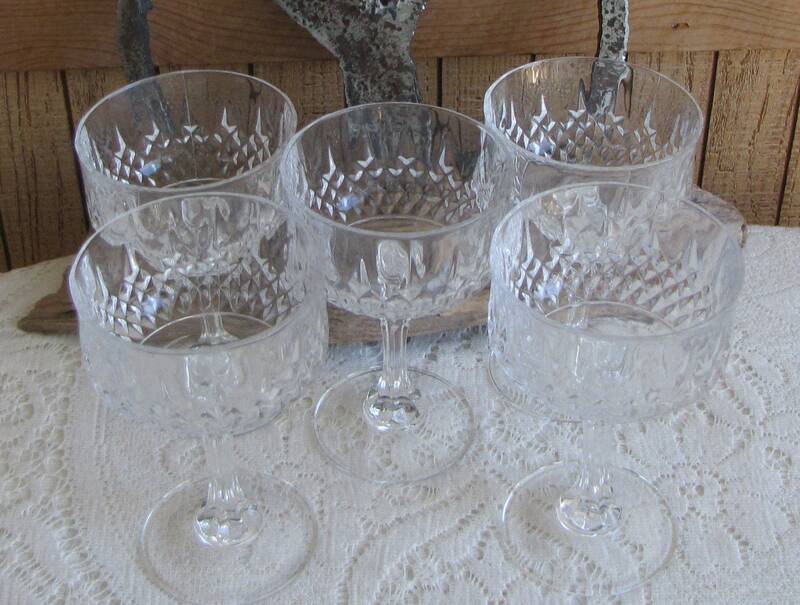 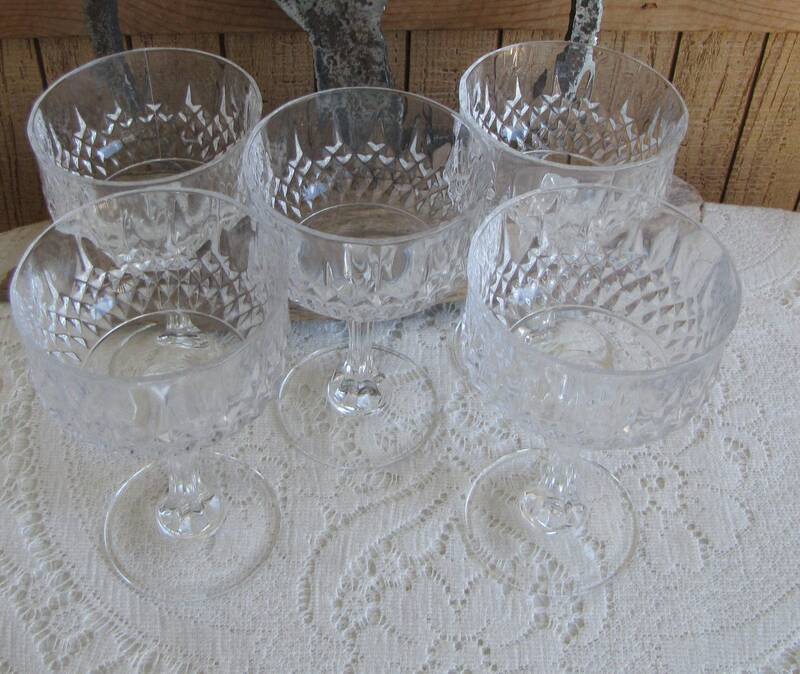 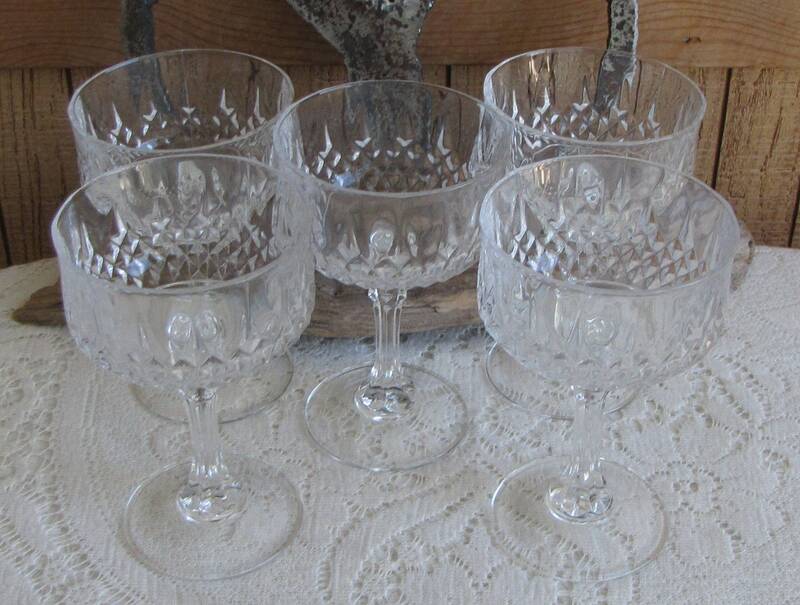 This is a set of 5 crystal Longchamps champagne glasses are from Cristal D’Arques, France. 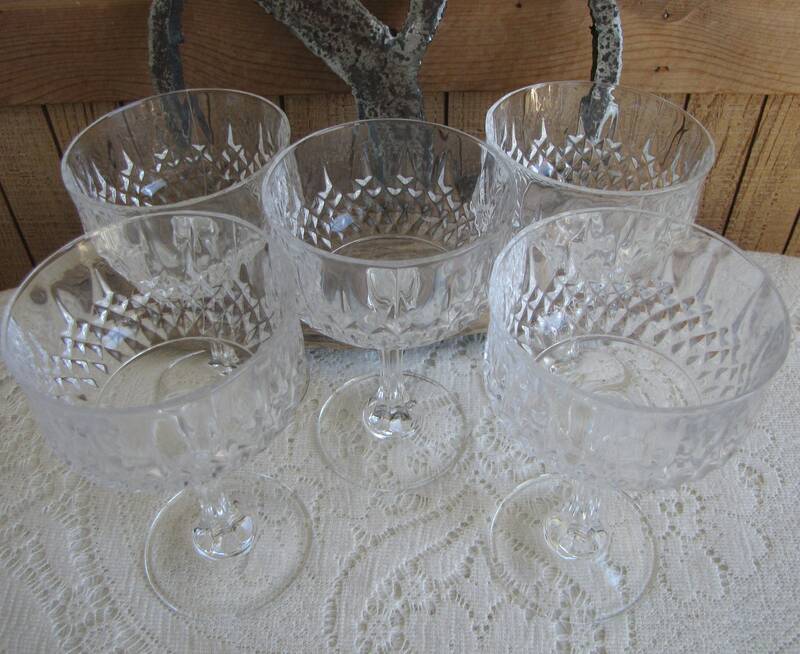 They are in very good vintage condition with no chips or cracks. 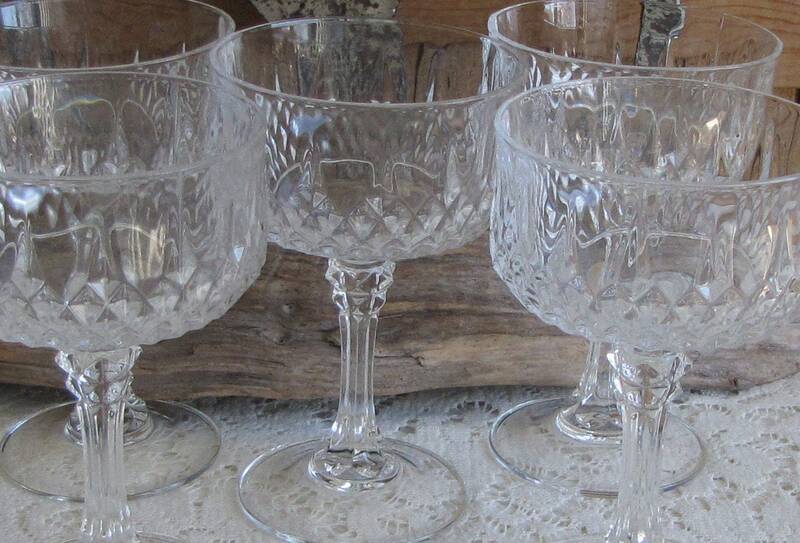 The glasses measure 5.5 inches tall and 3.5 inches in diameter. 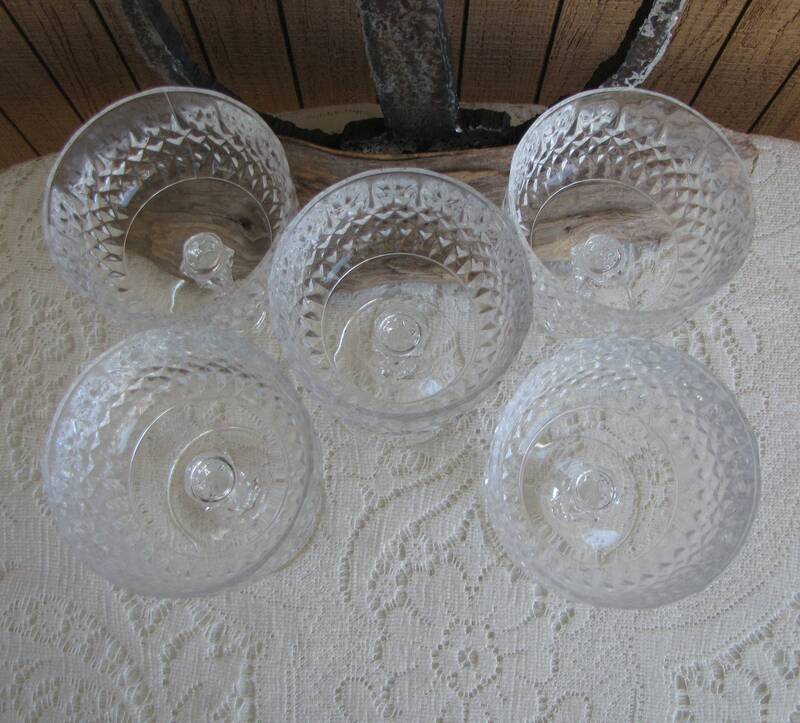 They are hexagon-shaped at the lip of the glass.